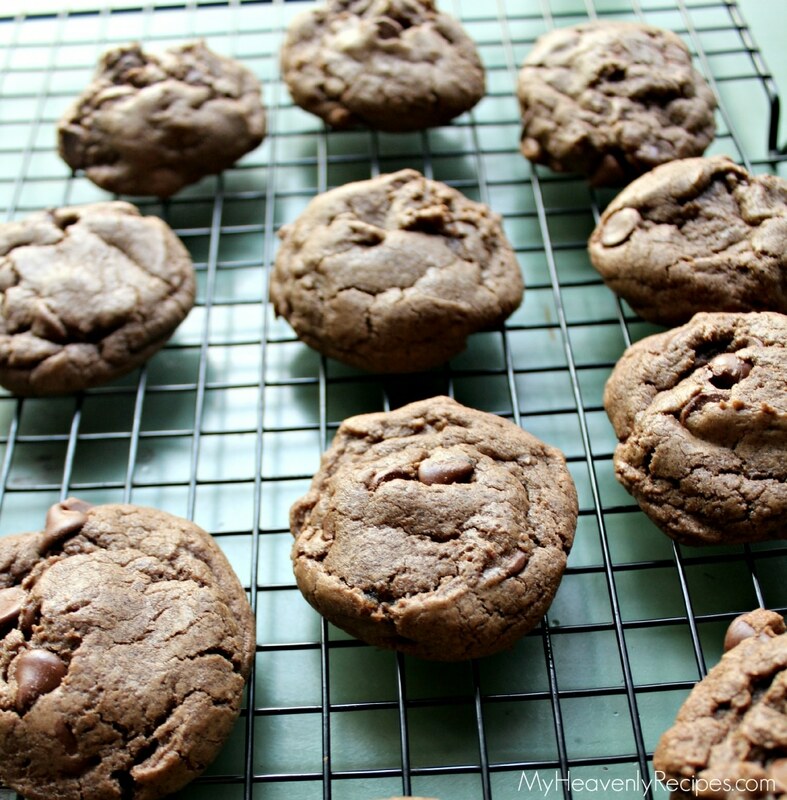 A Triple Chocolate Chocolate Chip Cookie Recipe that is a little piece of heaven and a perfect way to impress your guests! Apparently cookies are my thing. I have yet to make a bad cookie recipe! My kids ask for homemade chocolate chip cookies a minimum of once a week. If I’m PMSing I’ll find myself whipping up all types of chocolate yumminess in the kitchen and the kids get what they ask for! There’s not a cookie that I’ve made that I haven’t liked. I’m becoming known amongst my friends as “The Cookie Lady”….It all started with my Chilled Chocolate Chip Cookies that has taken me 3 years to perfect! I often bring cookies to gatherings because they are easy, it serves a lot of mouth holes and I often have all the ingredients on hand to make a damn good cookie. 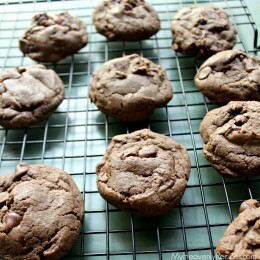 I used the basis for my cookie recipe and added to it by adding the cocoa powder! Remember, all of my recipes are a basis for you. Sure you can create it step by step, but, my recipes are intended to inspire you in the kitchen and get you experimenting. That’s how I’ve learned to navigate the kitchen. Sure I’ve made a few recipes that ended up in the trash and dialed 347-1111 for the save, but, more times than not you can add ingredients to save your recipe. Now onto the triple chocolate chip cookie recipe ’cause I know that’s why you are here! * I use a KitchenAid 6 qt Professional Mixer. If you don’t have a mixer, use a LARGE bowl! 1. In your mixer add in melted butter, brown sugar and granulated sugar with the paddle attachment. Mix until the mixture becomes light. 2. Add the egg yolk and combine. 3. Add the egg, vanilla extract and Homemade Hershey Syrup and mix thoroughly. 4. With the mixer on low, carefully add in the salt, baking soda and cornstarch. Mix until combined. 5. Add 1/2 c of flour at a time making sure the flour gets combined. 6. To the mixture add the cocoa powder and incorporate into the dough. 7. Remove your bowl from the mixer and add in the morels stirring with a spatula or wooden spoon. 8. Place your bowl in the refrigerator for a minimum of 20 minutes, no longer than 2 hours. You want to chill the dough. At this point you can bake all the cookies or using a small ice cream scoop place balls of dough in a ziploc bag and freeze. Using a small ice cream scoop place dough on baking sheet. I use a silicon baking mat on the top of my baking sheet. Now when you place the dough make sure to squeeze the dough with your fingers so that it is taller than it is wider. This helps the dough bake to a circle and not some alien figures! Bake the cookies for 8-10 minutes until they have set and are no longer doughy looking on top. Remove from the oven and place on a cooling rack. Serve with a GIANT cup of milk! 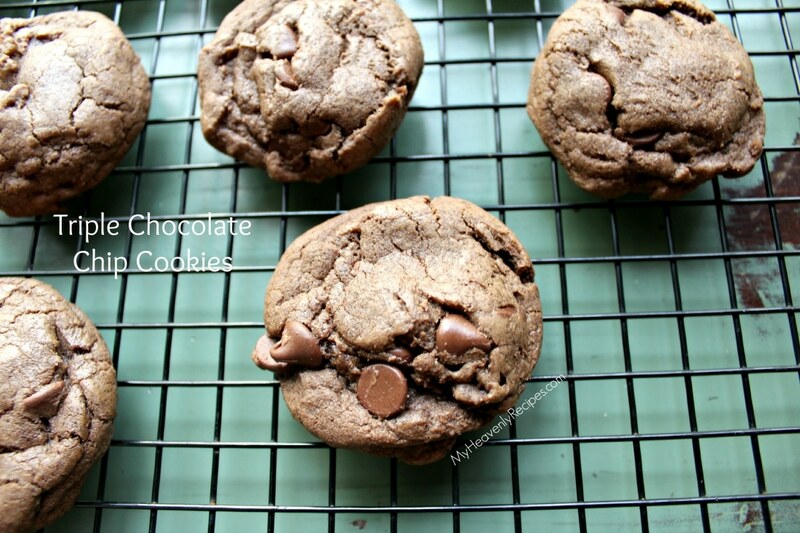 You'll never make another cookie recipe when you try these Chilled Triple Chocolate Chip Cookies. They are pure perfection warm from the oven and a chocolate chip cookie kicked up a notch. I use a KitchenAid 6 qt Professional Mixer. If you don’t have a mixer, use a LARGE bowl! In your mixer add in melted butter, brown sugar and granulated sugar with the paddle attachment. Mix until the mixture becomes light. Add the egg, vanilla extract and Homemade Hershey Syrup and mix thoroughly. With the mixer on low, carefully add in the salt, baking soda and cornstarch. Mix until combined. Add 1/2 c of flour at a time making sure the flour gets combined. To the mixture add the cocoa powder and incorporate into the dough. Remove your bowl from the mixer and add in the morels stirring with a spatula or wooden spoon. Place your bowl in the refrigerator for a minimum of 20 minutes, no longer than 2 hours. You want to chill the dough. At this point you can bake all the cookies or using a small ice cream scoop place balls of dough in a ziploc bag and freeze. I love to see what you are creating in your kitchens! Feel free to share your results of this Strawberry Smoothie Recipe with me on Facebook or Instagram. 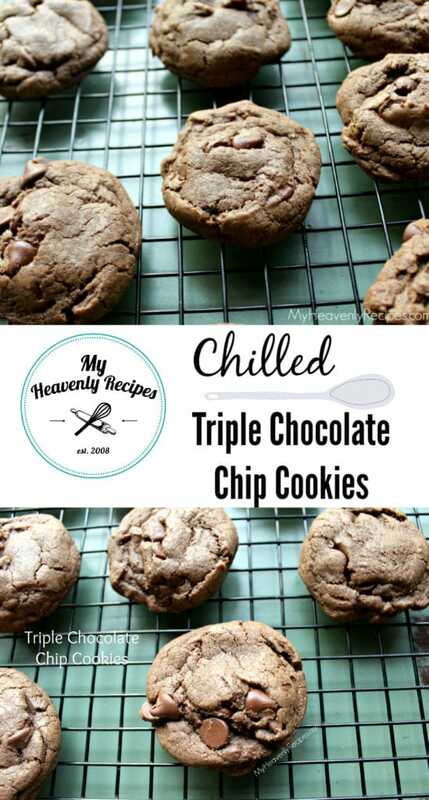 And, be sure to follow me over on Pinterest for more Heavenly Recipes.